To donate your vehicle, scroll down to complete the form! Reminder: Do not forget to click the "Submit Donation" button. A MEMBER OF THE AUTO AUCTION WILL CONTACT YOU WITHIN 24-48HRS. Do you have an old or unneeded car, truck, boat or other vehicle taking up space in your driveway or the repair shop? Is your vehicle ready for recycling? Consider donating your vehicle to the UM Capital Region Health Foundation Vehicle Donation Program. Not only will you be helping our medical and professional teams extend the very best care possible to our patients, but you will save the environment as well. Complete the simple form below to jump start the process. Thank you in advance for your support. ✔ Fill out the online donation form or call 1-888-205-3420 to arrange a pick-up. ✔ Our partner, Donate Car USA®, Powered by the Insurance Auto Auction, will call to arrange a pick-up date and time – at no cost to you. ✔ Our partner will sell your vehicle and the net proceeds will support the mission of the UM Capital Region Health Foundation. ✔ UM Capital Region Health Foundation will send you a tax receipt (if applicable) and an acknowledgement. Our program offers a simple alternative to selling or trading in your unwanted vehicle. It’s fast, free and simple. 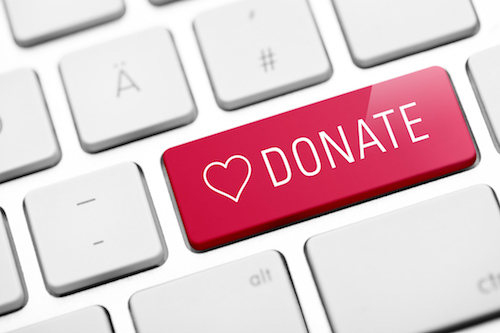 In return for your donation you may qualify for a tax deduction where you will receive the maximum dollar amount for donating a vehicle . Best of all, the net proceeds from the sale of your donated vehicle will be used to support our Diabetes Care Program. Need Assistance? 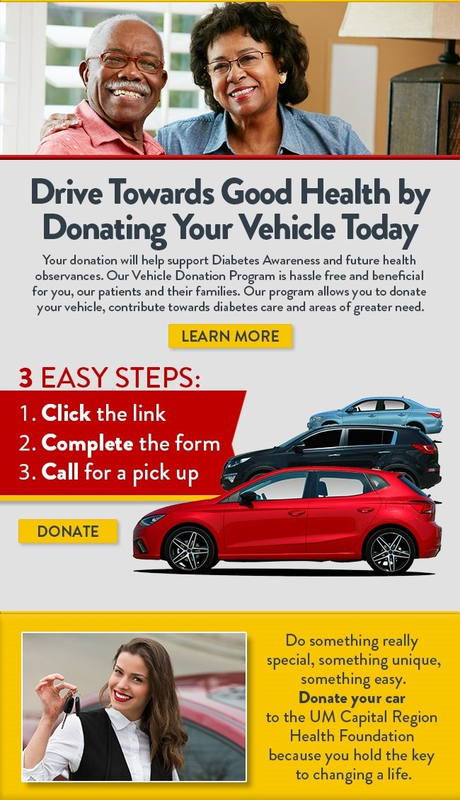 Check our frequently asked questions, email us at foundations@dimensionshealth.org or if you prefer to speak with a friendly vehicle donation program associate, assisting the UM Capital Region Health Foundation, dial 1-888-205-3420. Thank you for making UM Capital Region Health Foundation your number one vehicle donation source!